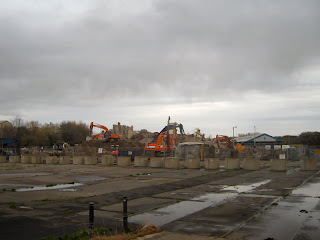 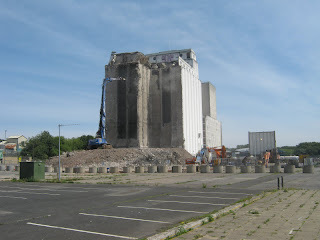 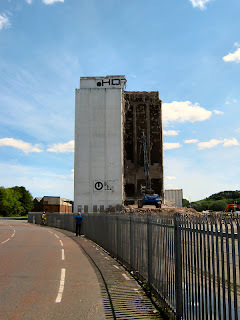 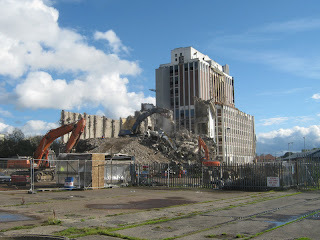 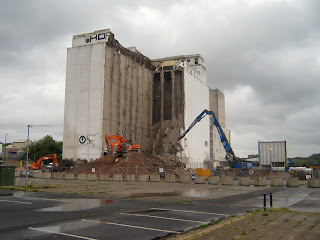 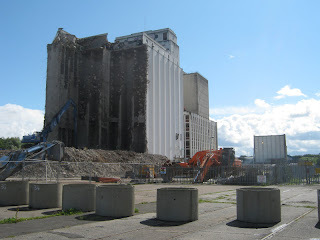 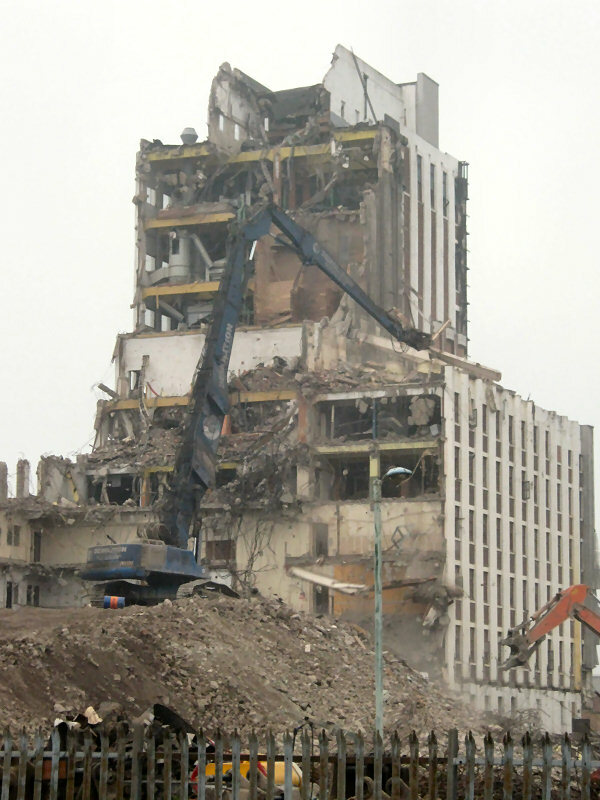 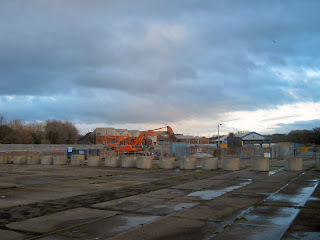 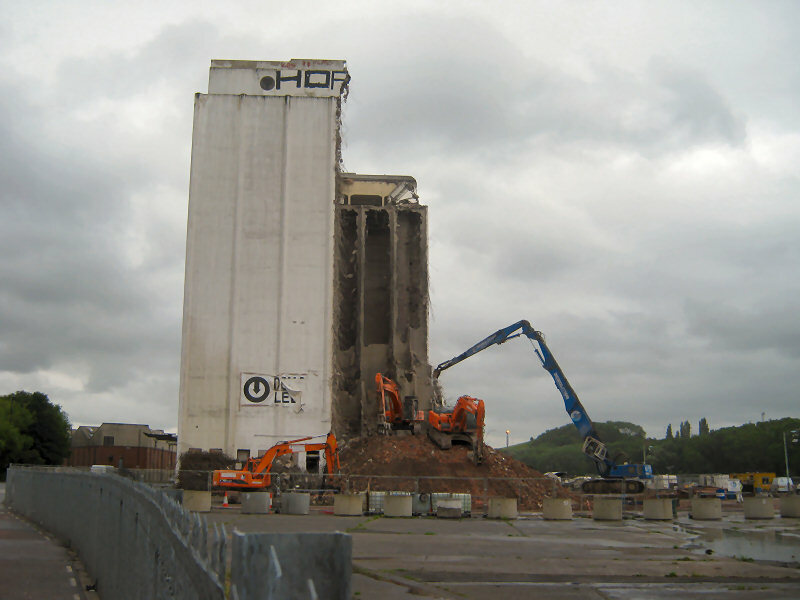 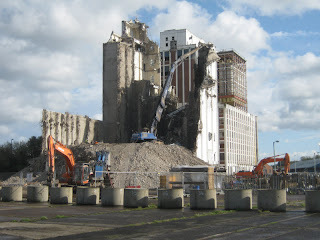 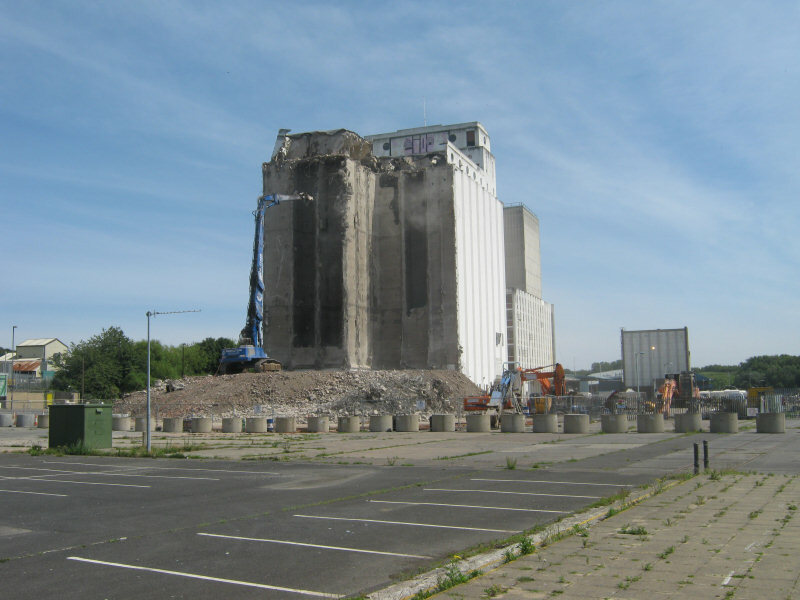 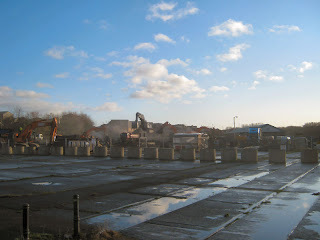 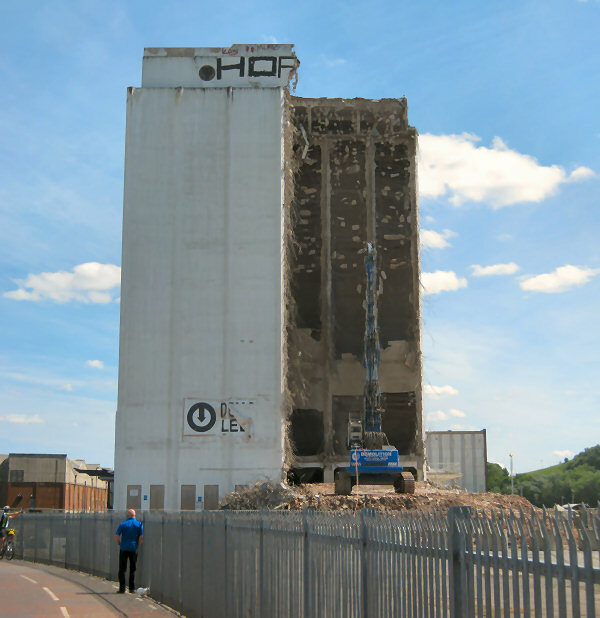 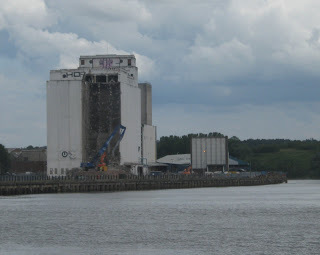 Demolition began on the local landmark a couple of weeks back in eraly June 2011. 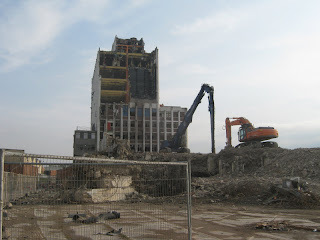 As with the Central Library demolition a couple of years back it is being broken up on chunk at a time...a very slow process. 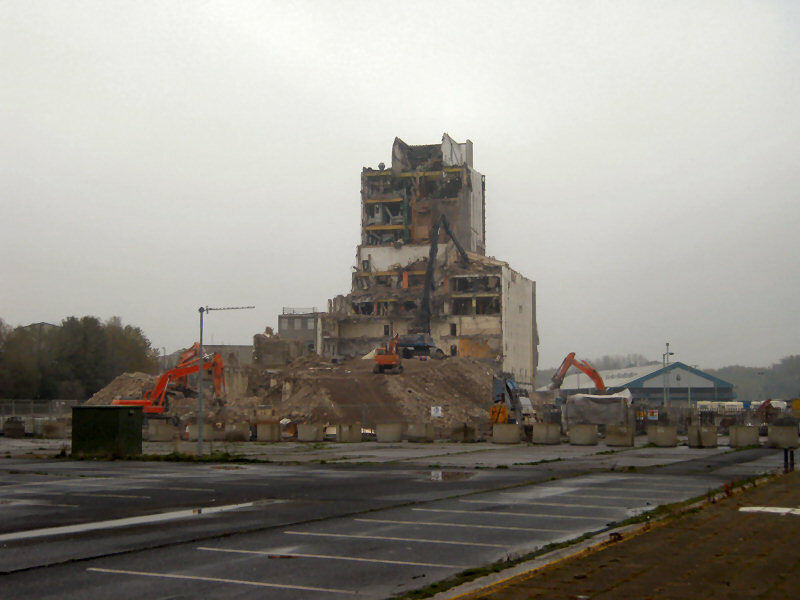 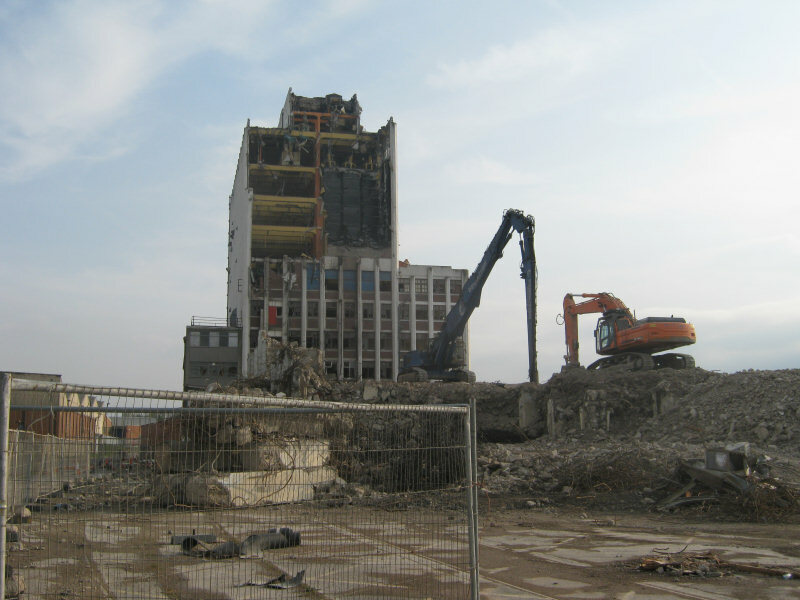 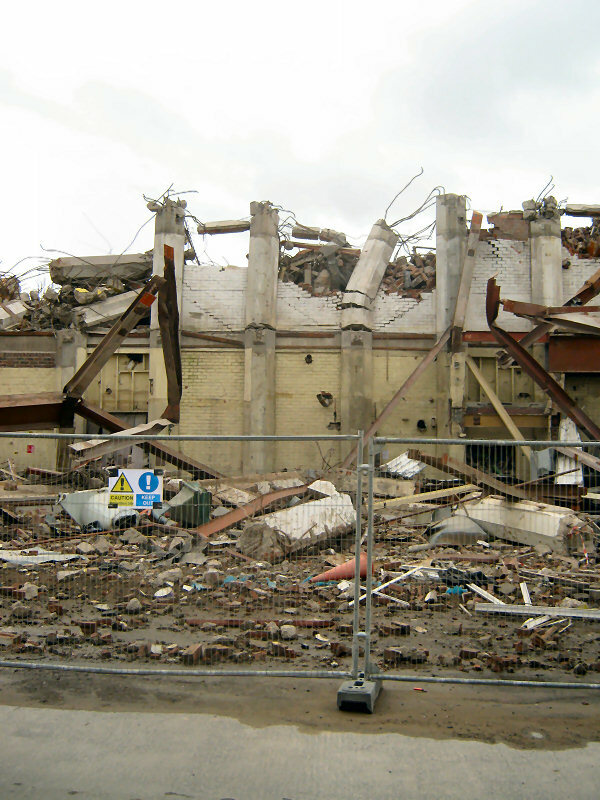 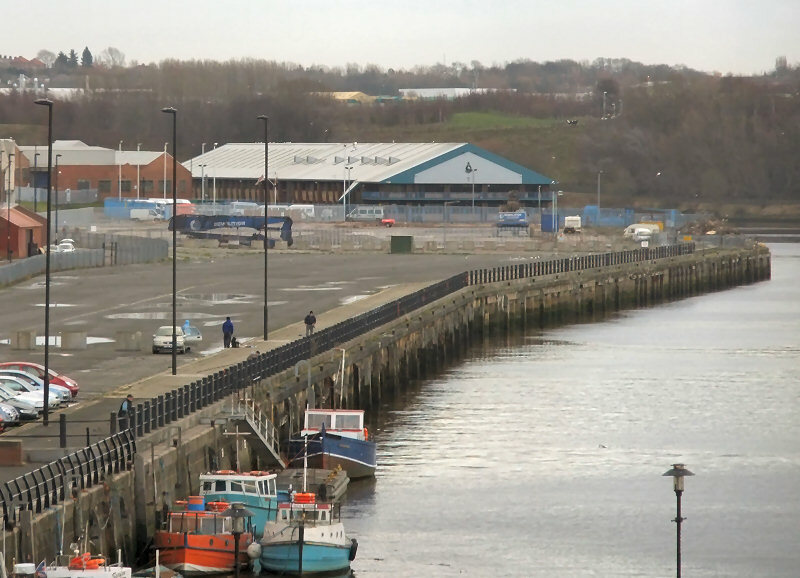 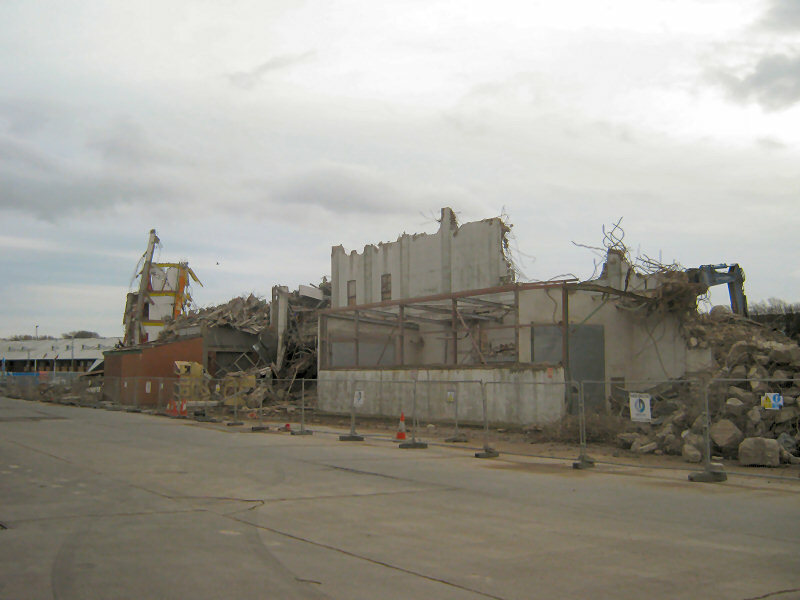 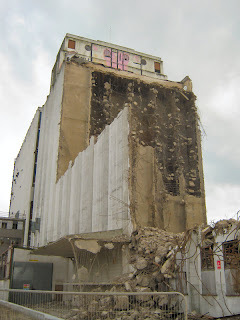 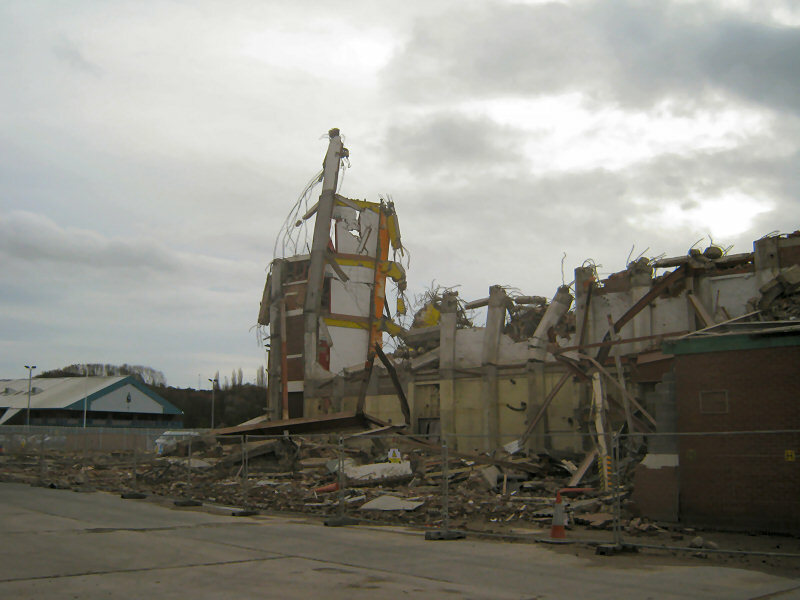 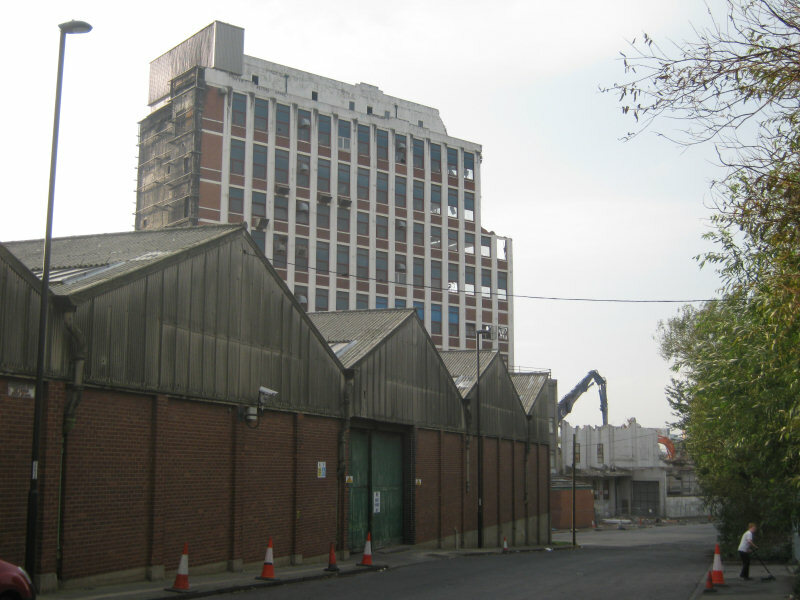 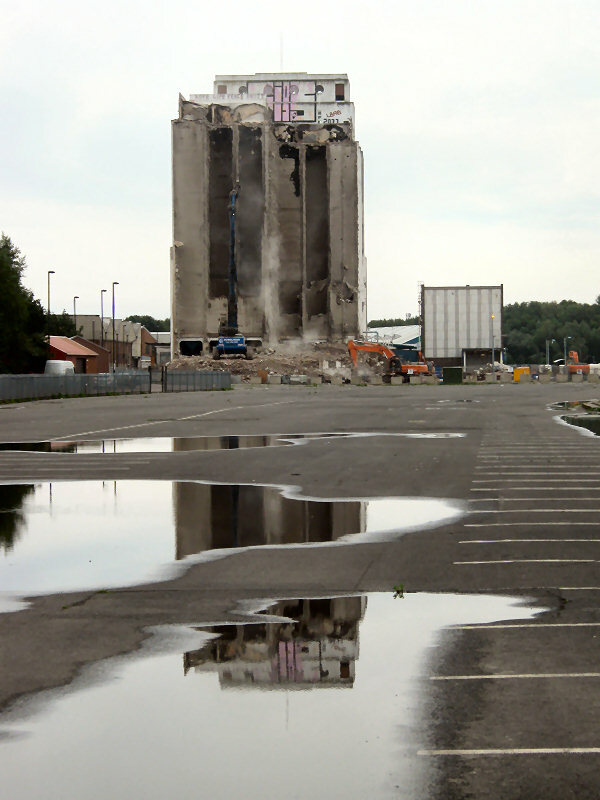 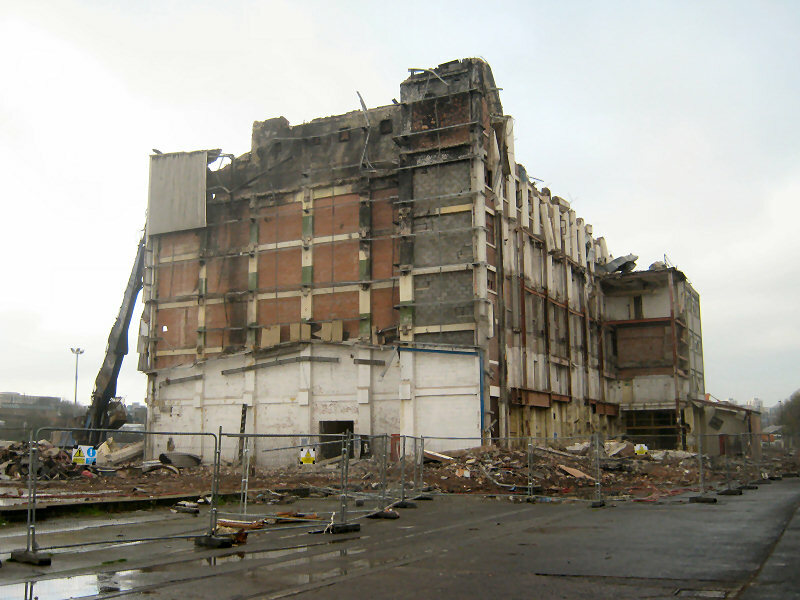 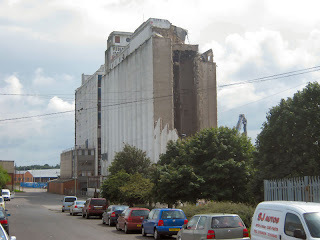 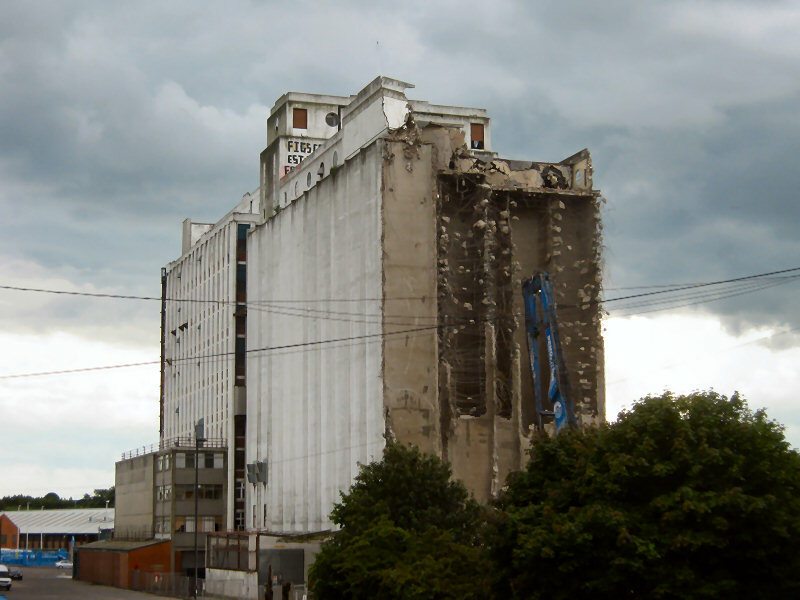 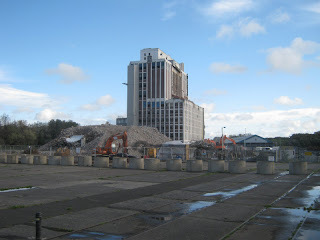 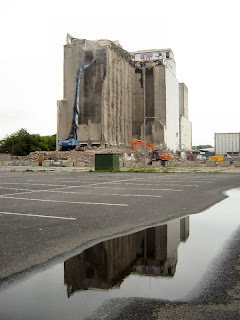 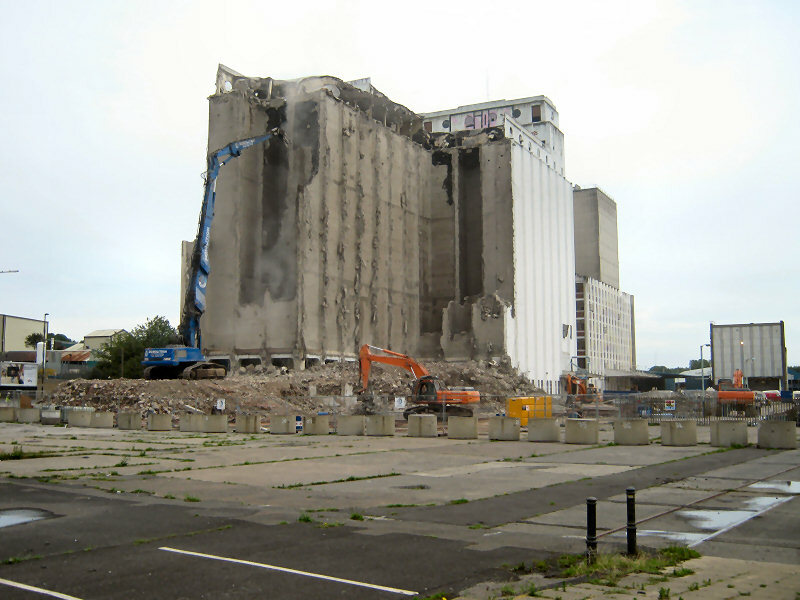 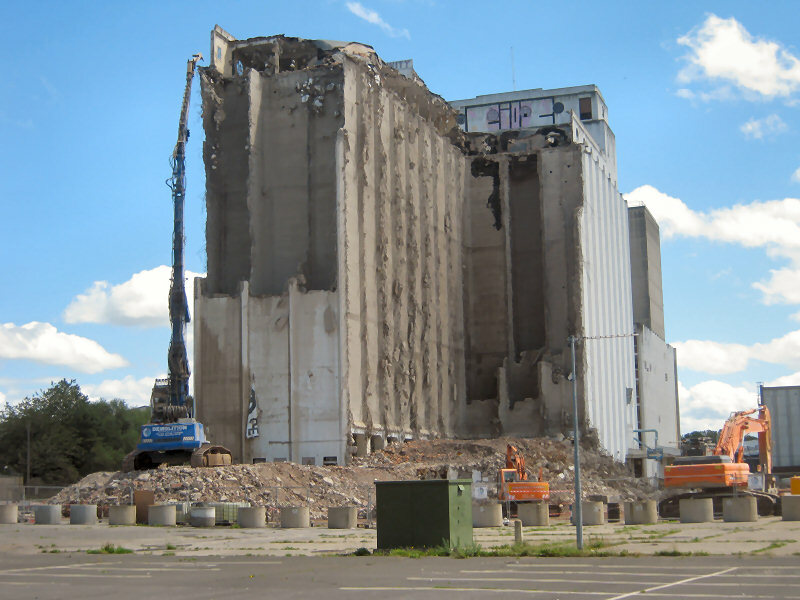 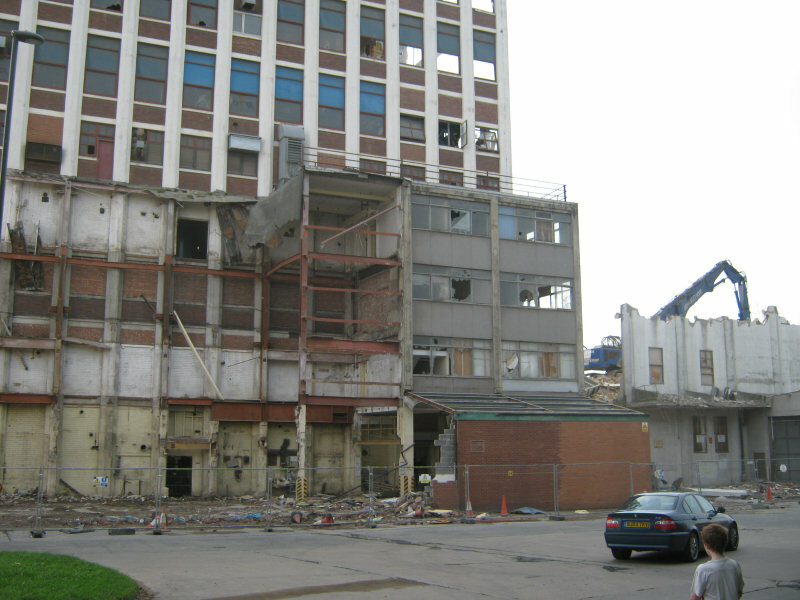 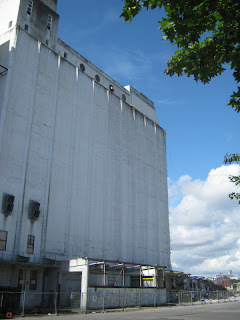 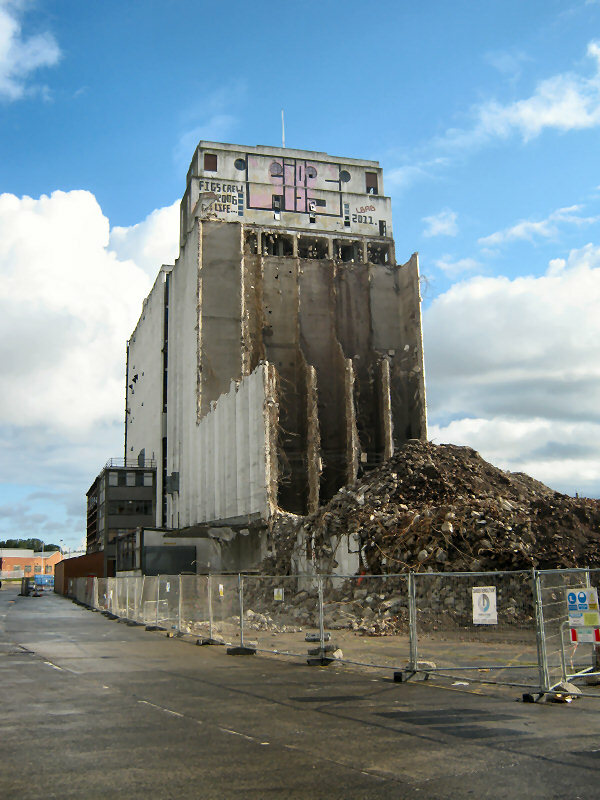 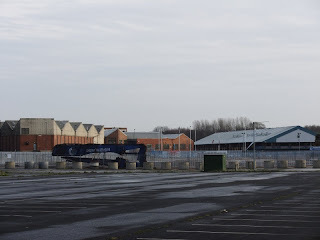 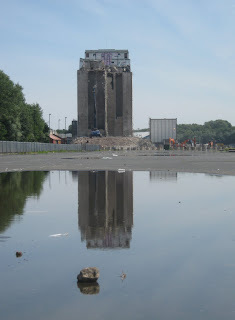 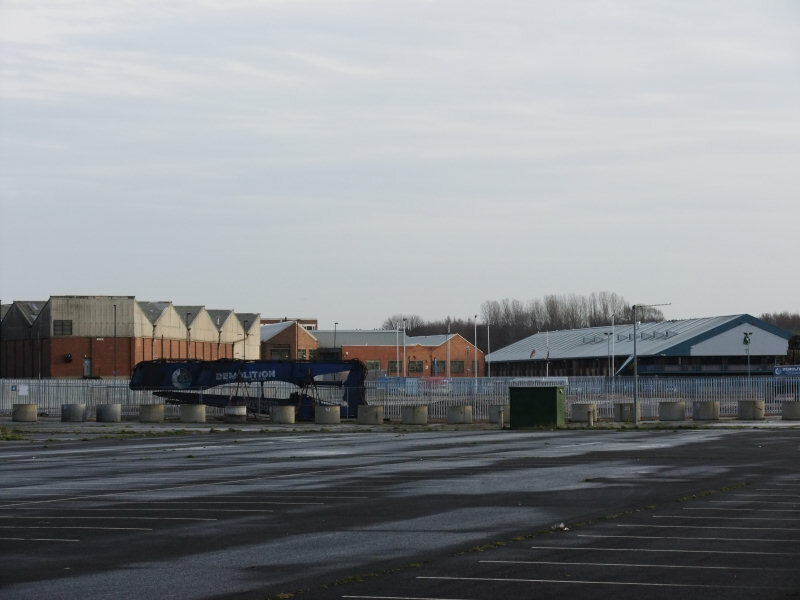 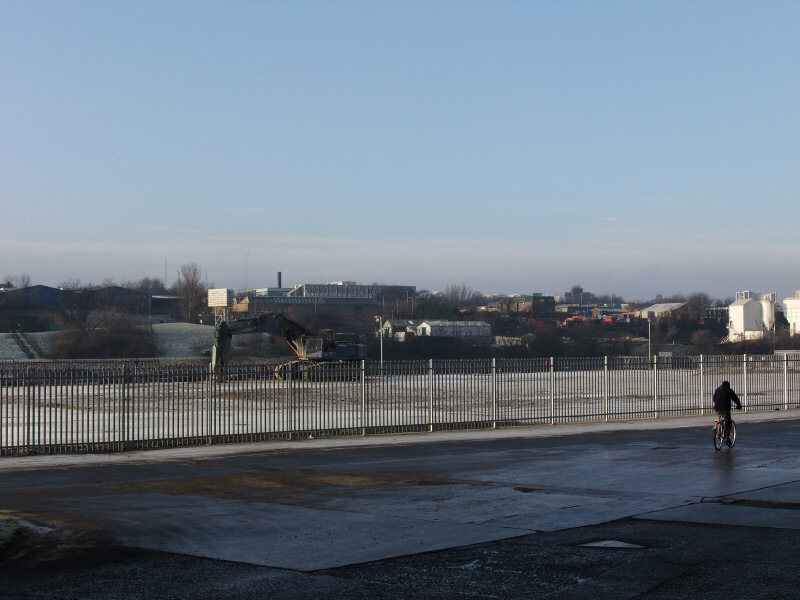 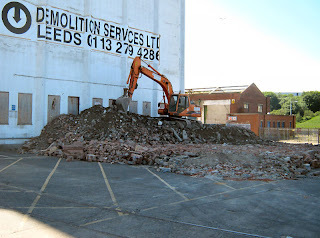 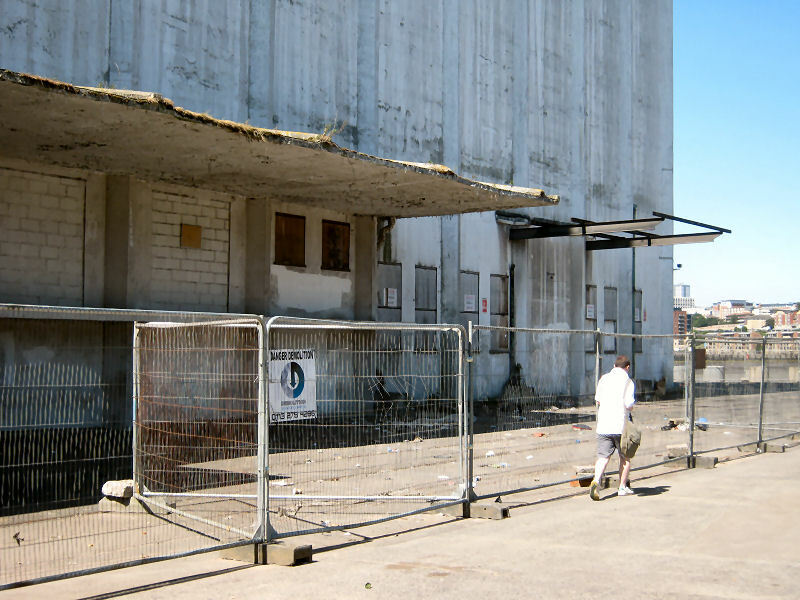 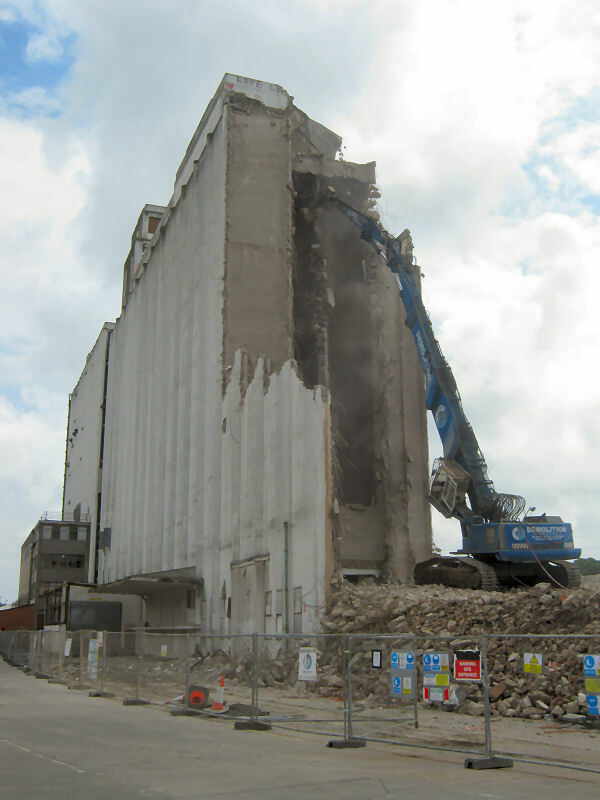 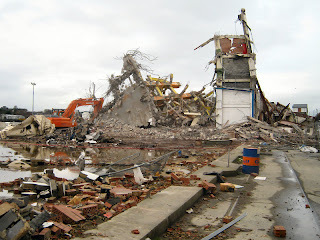 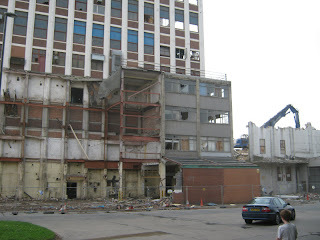 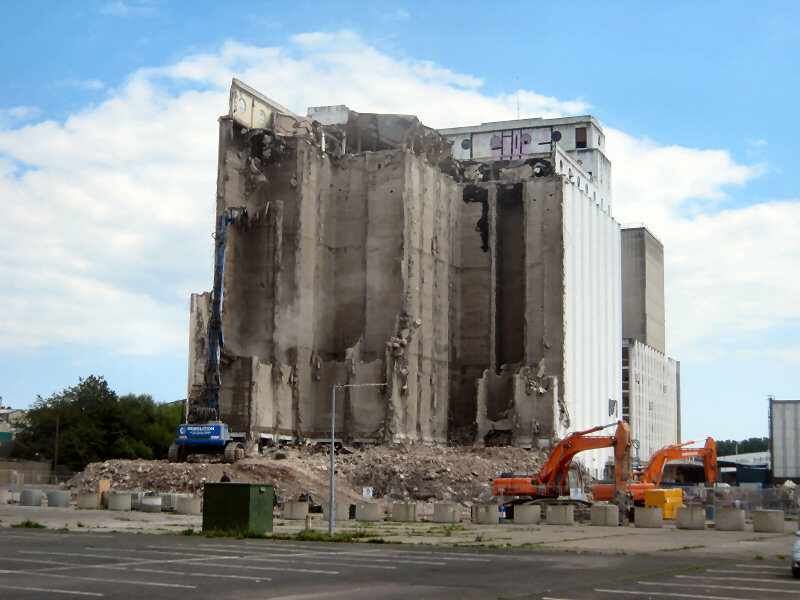 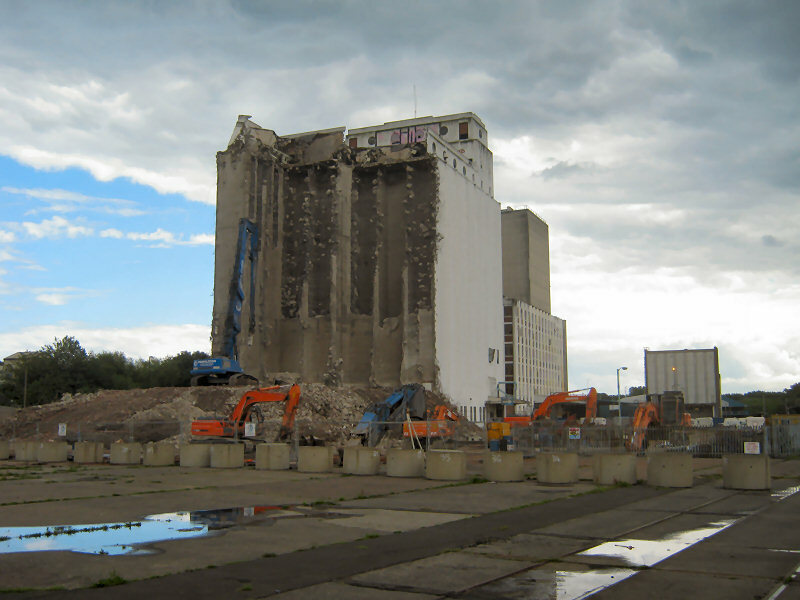 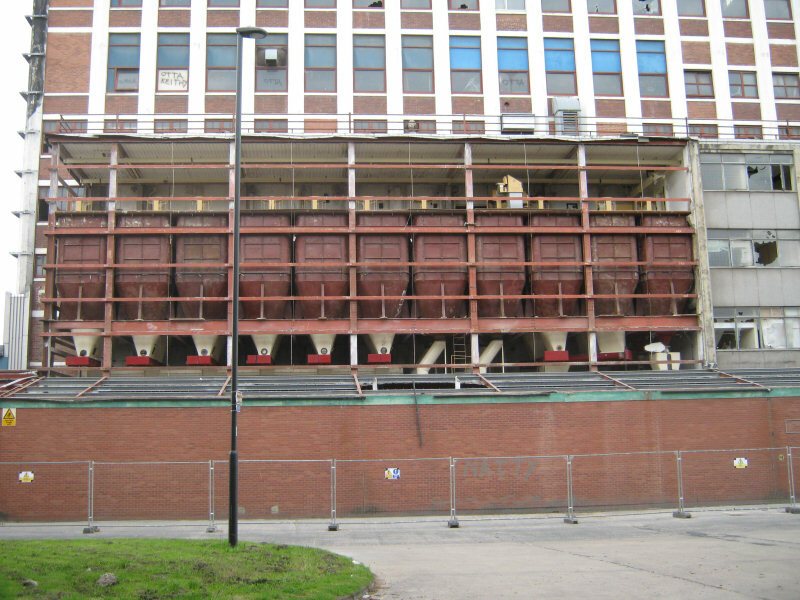 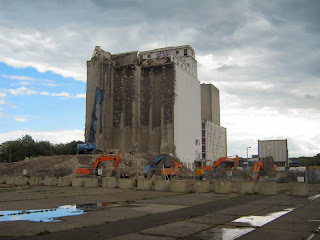 Pre-demolition photos of Spillers are available here Spiller's Tyne Mill. 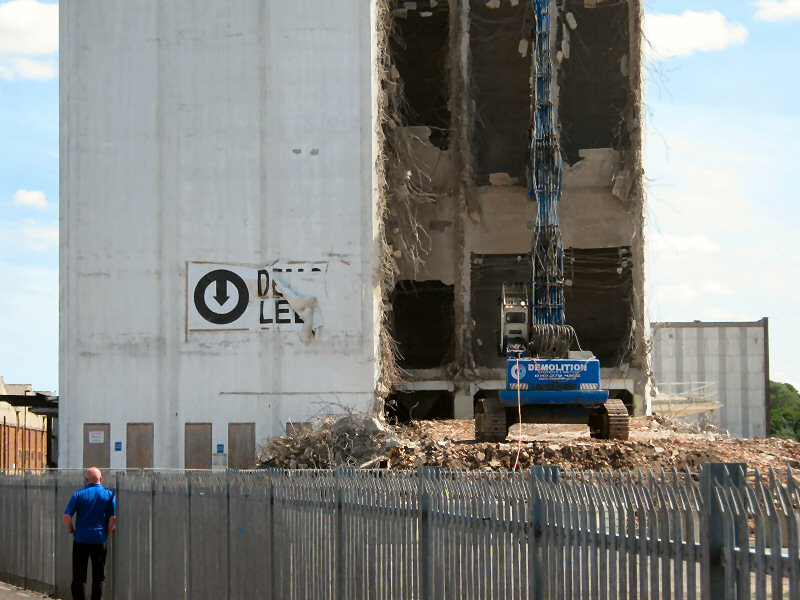 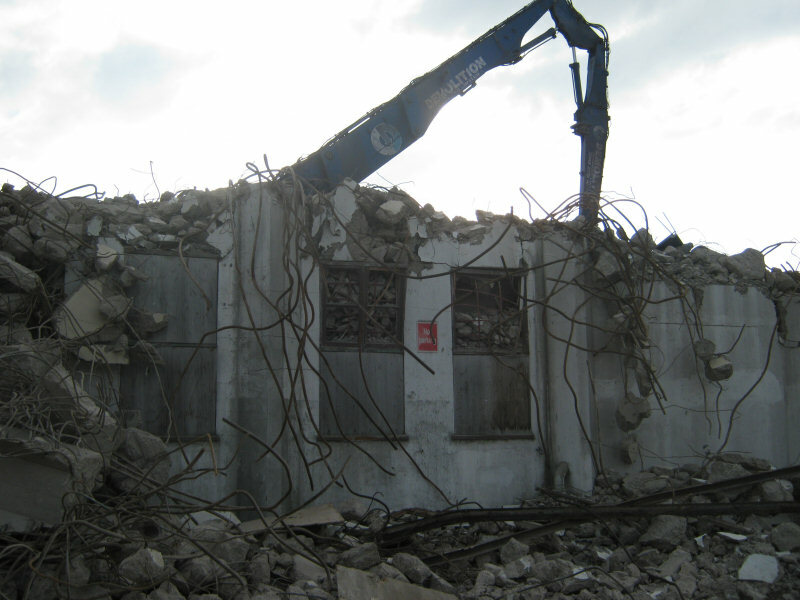 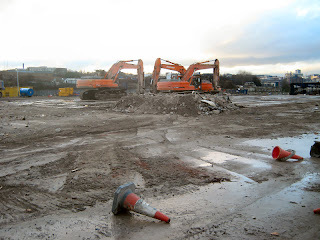 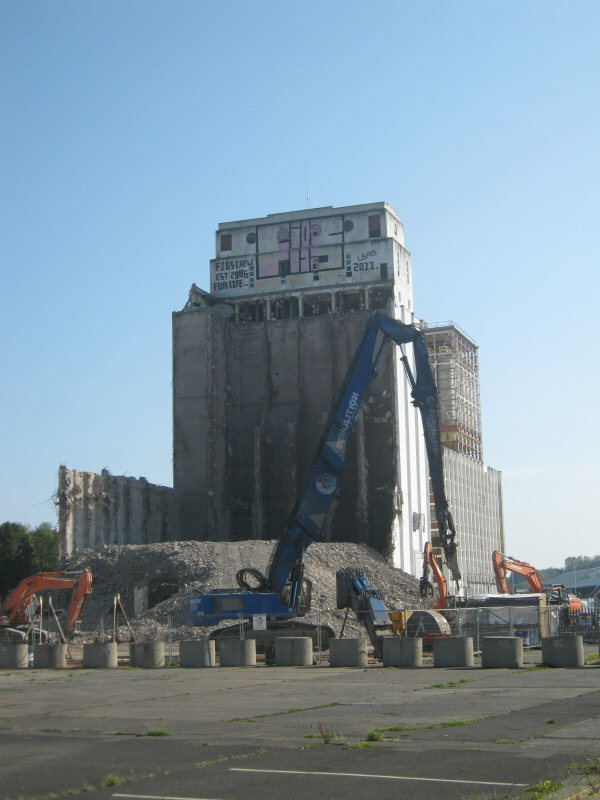 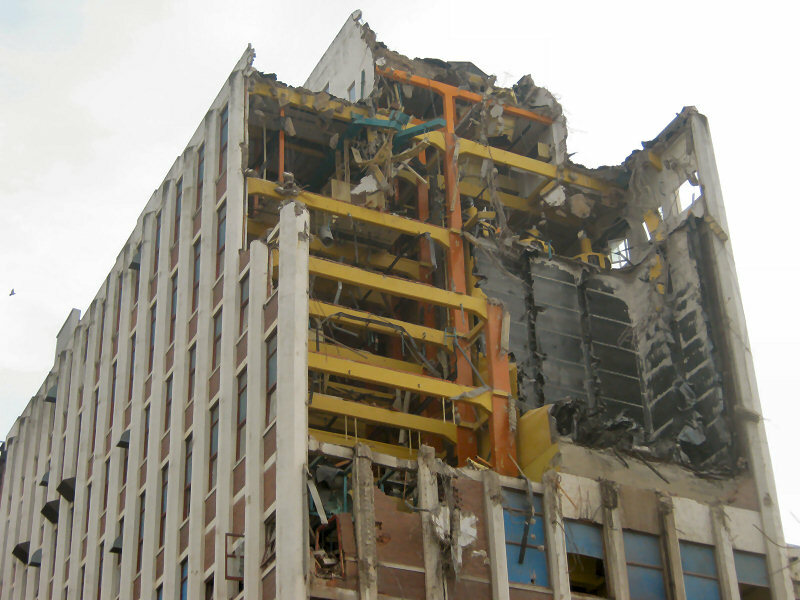 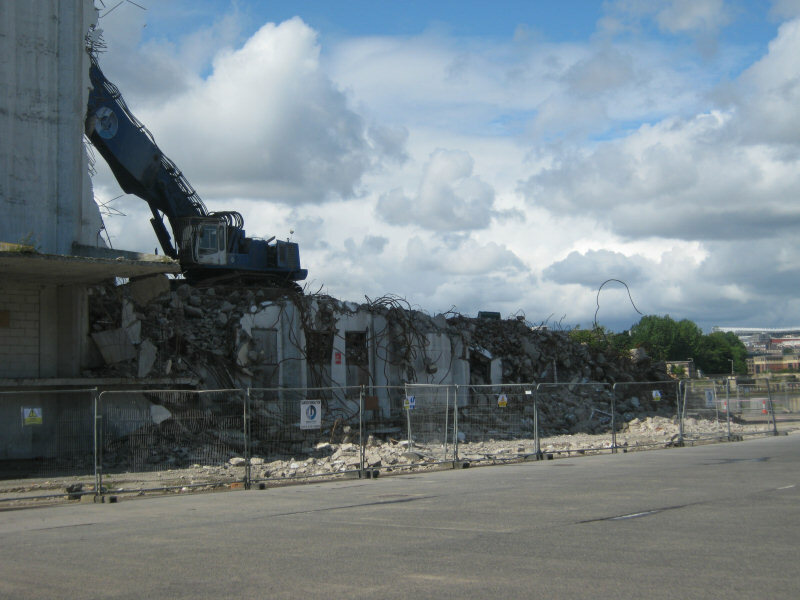 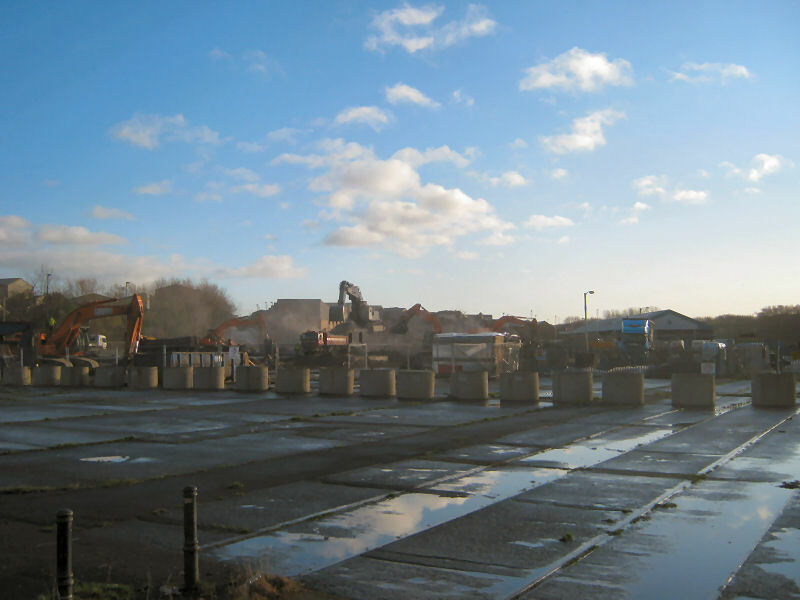 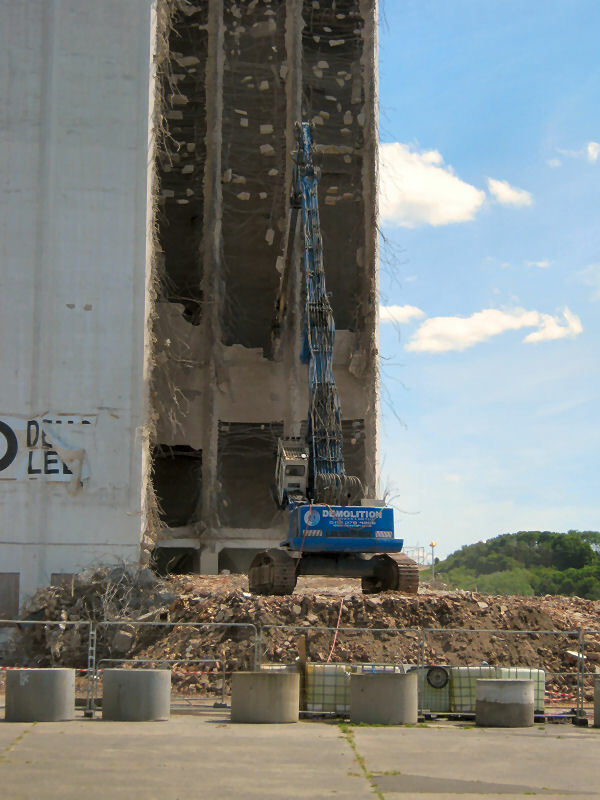 A short video showing the demolition process. 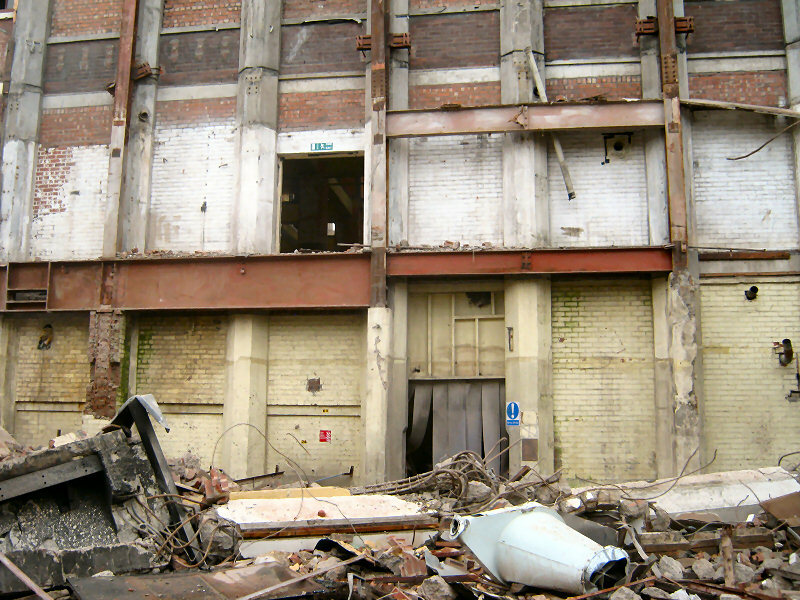 Spillers Demolition June 2011 from Newcastle Photos on Vimeo. Spillers Demolition November 2011 from Newcastle Photos on Vimeo. 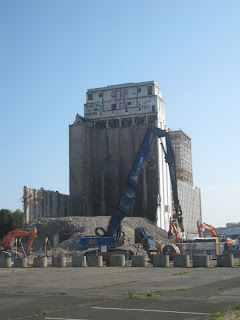 Thanks, I too am sad to see it go. I suppose it is not the the kind of building that can be converted into anything else. 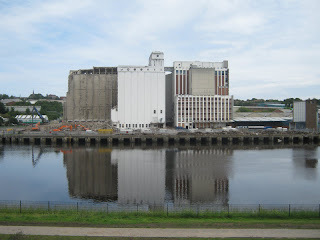 Unless we need another Baltic Arts Museum! I will try to update this page regurlarly as it gets demolished. 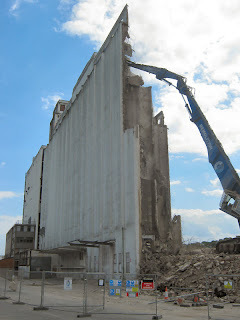 Amazing pics. 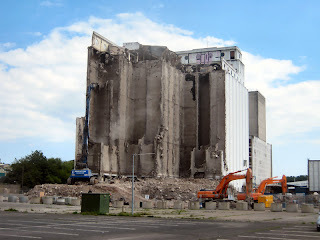 We stopped by the mill on sunday morning to watch the demolition...they were plucking away bit by bit at this massive steel structure situated deep in the building, a few stories up (looked a bit like a lift shaft). 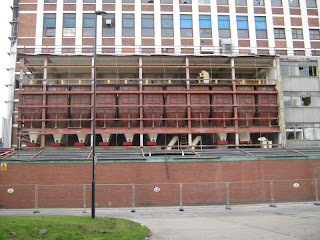 All we were told by a worker was that its a steel tank, but does anyone know what was it for?? 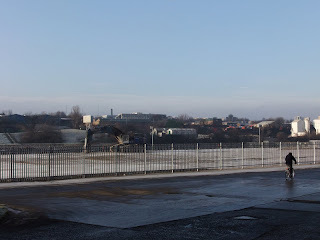 Any ideas what it is and why it was there? 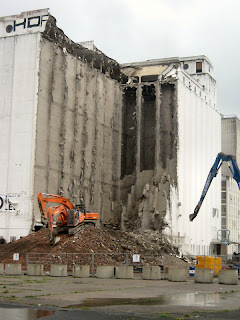 Looked like a long job! Thanks. 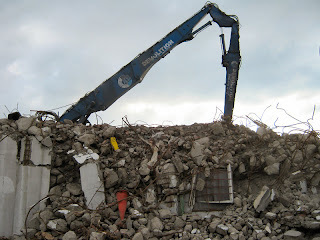 I've got some more recent photos to go up on here which I should get done today. I'm not sure what the the tank was for though. Yeah it was the black tile-like section in the open section above the windows in the 23rd oct pics, but no worries...suppose it adds to the mistery of the abandoned mill! Thanks for the photos! 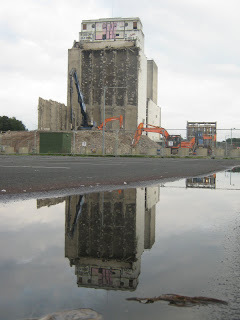 Nice reflection in the last pic on 4th September. Cheers. There'll be nout to reflect soon! 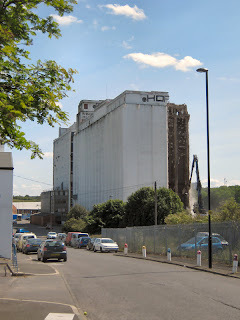 The Steel bins you mention are the flour holding bins. 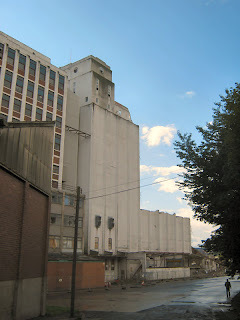 Once the flour was milled it was blown into these bins before being sent to bakeries in paper sacks or tankers. 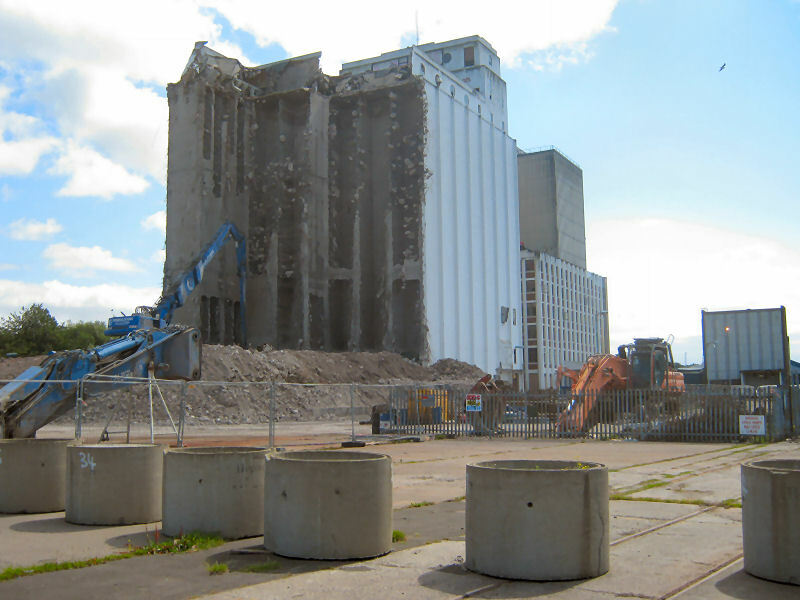 There were 15 bins in that section holding between 32 and 44 tons in each bin.